Create this lovely Distress Ink Background to suit the color scheme of your design using supplies that you may already have in your crafting "Stash"
Creating your own background is very easy with Distress Inks and these are probably some of the first inks that crafters start to collect. They are water reactive which means that some wonderful patterns can be created by you simply by spritzing the ink ... once you have put some down onto your craft mat. Each of your inks will give you a good look but mixing the colors and using them alongside each other can really spice things up. 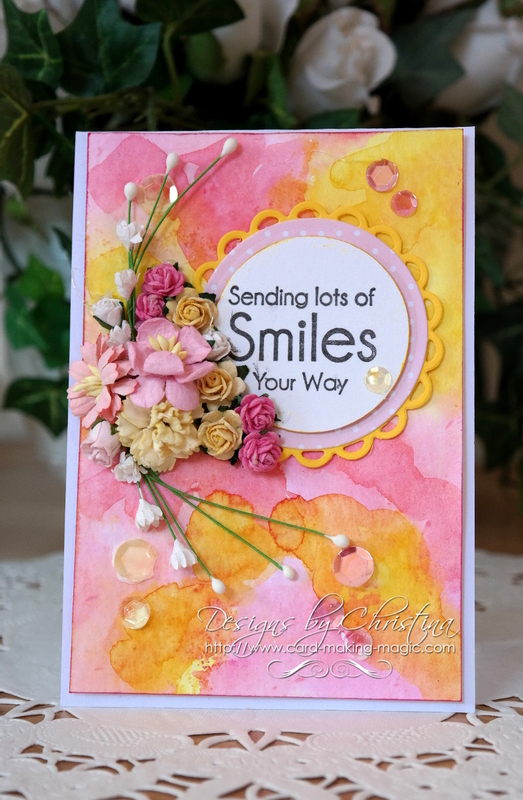 The flowers on both cards are from Wild Orchid Crafts and are a mixture of Roses, Carnation, Gypsophilia, Chrysanthemums. All of these cards are completely different and the top one can be used for male cards if you remove the flowers. 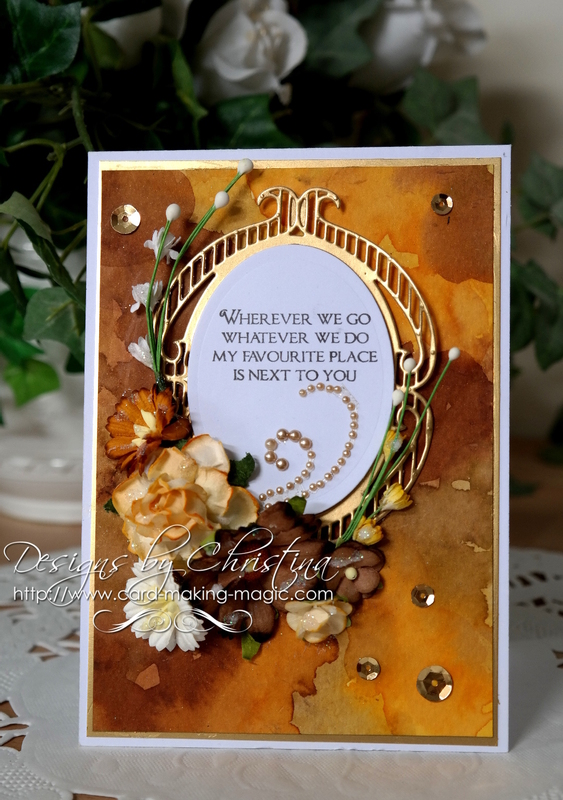 This Distress Ink Background has used Forest Moss, Mustard Seed and Spiced Marmalade. And the addition on this card are the sequins that I have dotted around. Very trendy at present!! 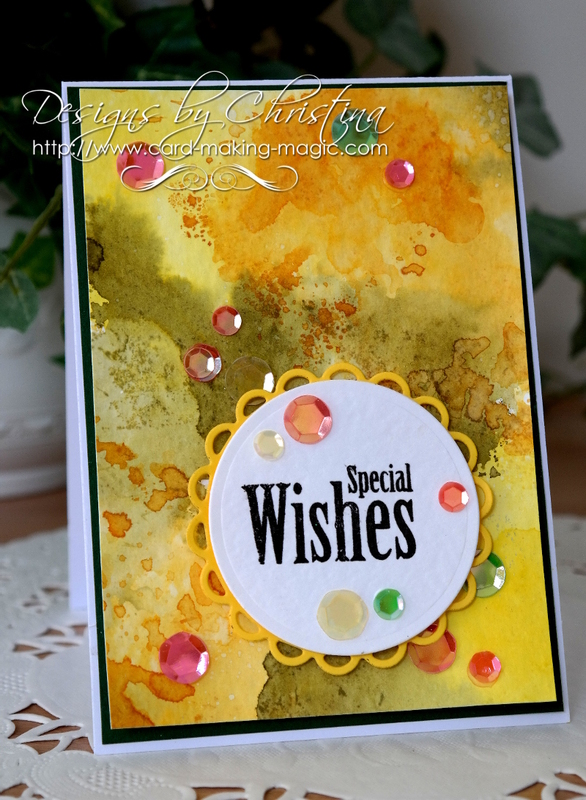 Another thing you may like to try is using them as water colors to color your stamped images. And don't forget it is only card and paper and you can always start again if you don't like the result.